Labor Day was celebrated for the first time in New York City in 1882. It began as a state holiday, getting voted in by individual states, but gained popularity and was voted a national holiday by Congress in 1894. Labor Day celebrates the achievements of the American work force with a national day off on the first Monday in September. A time for relaxation with family and friends, Labor Day is a popular time for special events and festivals throughout the country such as cooking out, camping, and parades! Labor Day is also a chance to bid farewell to summer with a long weekend, sometimes spent camping or swimming. 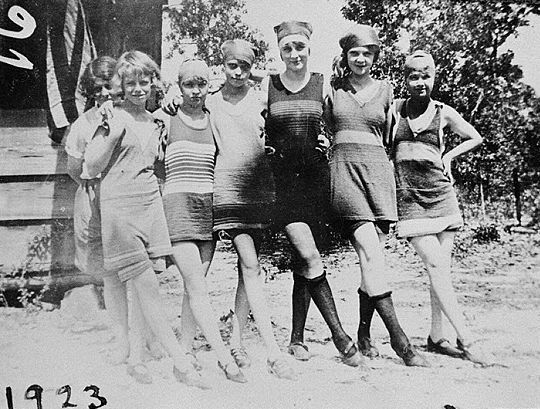 Pictured below are Girl Scouts all decked out in their 1920s era bathing costumes, a far cry from the bathing suits of today! What are your plans this Labor Day weekend? Here in the Greater Atlanta Area there are tons of events and festivals happening all weekend long. 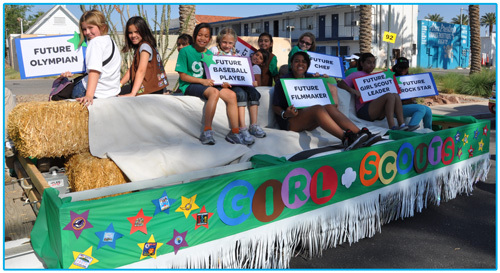 Click here to browse some of the activities that are going on, and keep your eye our for Girl Scouts while you’re out and about! Did you know that August was National Picnic Month? And that August 4th was National Sisters Day? Sounds like the perfect recipe to have a fun, late summer picnic with some of your Girl Scout sisters! So let’s pull out that vintage Girl Scout mess kit and round up our troop for some good old fashioned, out-of-doors fun! And did you know that “butter and fortified margarine” was one of the seven basic food groups in 1953? That’s pretty amusing! However, the handbook did suggest substituting the chocolate square in your s’more for a slice of pineapple… now that I have to try! 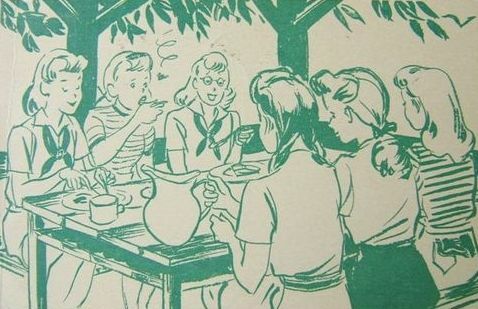 And don’t forget to include that good old get-to-know-you “Girl Scout Picnic Game.” You know the one- “My name is Mary. I’m going on a Girl Scout picnic, and I’m taking marshmallows…” and so on. Instructions for this classic scouting introductions game can be found here. As part of our mission here at the Archives, we make Girl Scout history available and accessible. Many of our volunteers say that going out and speaking to groups is one of their favorite things to do. 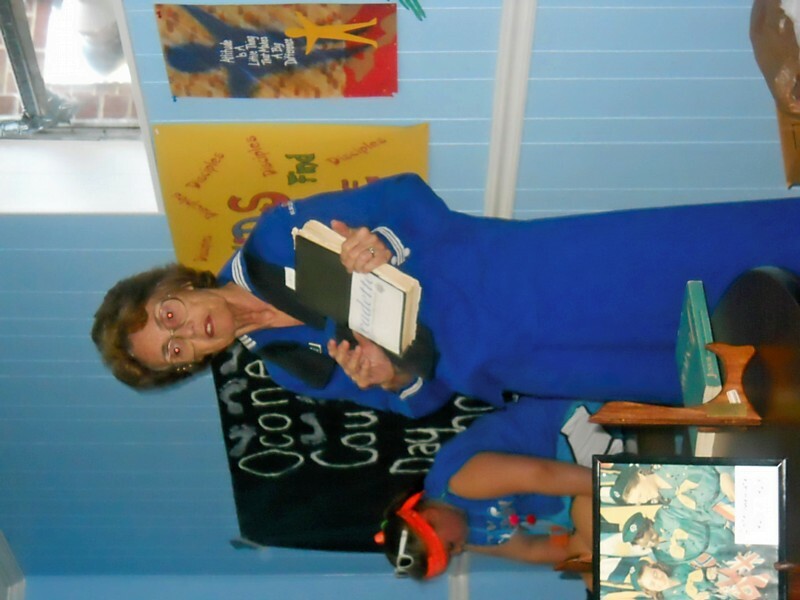 A long-time volunteer and Girl Scout, Mary Ann Milton, volunteered her time at the 2011 Oconee County Girl Scout Day Camp in Watkinsville, Georgia, on June 8. 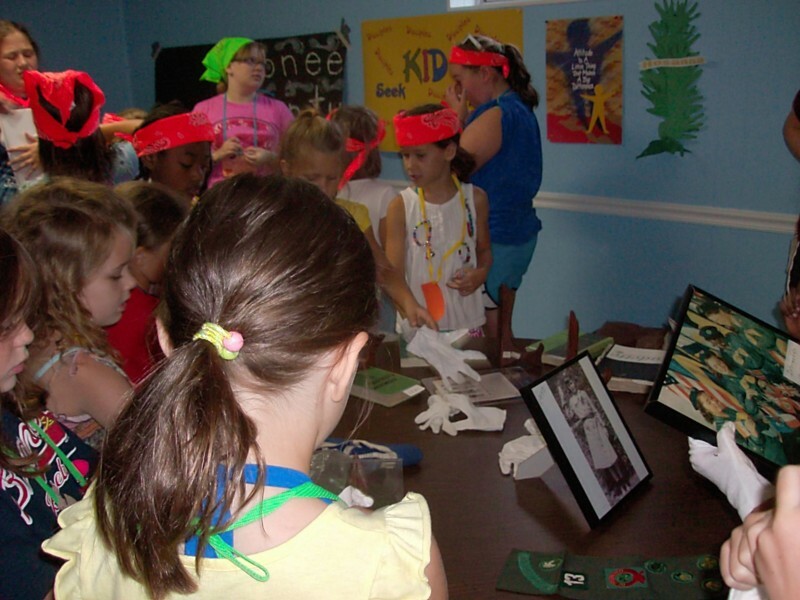 The theme this year was “A Walk Down Memory Lane,” which combined women’s and Girl Scout history. The camp met at the Watkinsville First Christian Church in downtown Watkinsville. 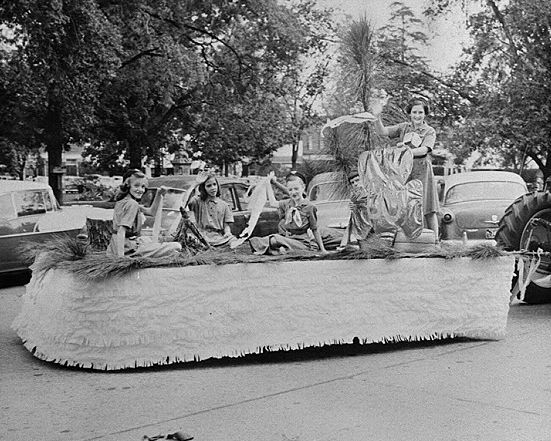 The Oconee County Service Unit is located in the Girl Scouts of Historic Georgia Council. “The camp only had three units: one Daisy, one Brownie and one Junior unit. They combined the Daisy and Brownie for my first presentation, then I gave a longer presentation for the Juniors. At the camp, I thought it was very interesting that each Program Aide had to pick a famous or important female in history (living or dead) and introduce herself to the group in appropriate costume for her choice. During the opening ceremony, two Program Aides presented themselves to the group and gave a short speech on why they were famous. On the wall in one of the rooms were pictures of each of their choices plus lots more. I wore the Mariner uniform, and had an old Brownie uniform and old Intermediate uniform on display. I also had my own badge sash and the badges that went with the older khaki uniform. I described what I did as a girl and as a leader, as well as why Brownies came to be. The Juniors took the appropriate handbooks and researched what the badges were on the Junior Uniform and on the khaki badge sleeve. The Brownies and Daisies passed the books and badges around and looked at them while asking questions. With the new Girls’ Guide to Girl Scouting coming out in September 2011, there will be legacy badges and opportunities to learn about Girl Scout history and traditions. If your troop or group would like to see the archives, or make an appointment for one of our volunteers to come and discuss Girl Scouting with your troop/group, please contact Margaret Paschal, Archives Liaison at the Girl Scouts of Greater Atlanta. 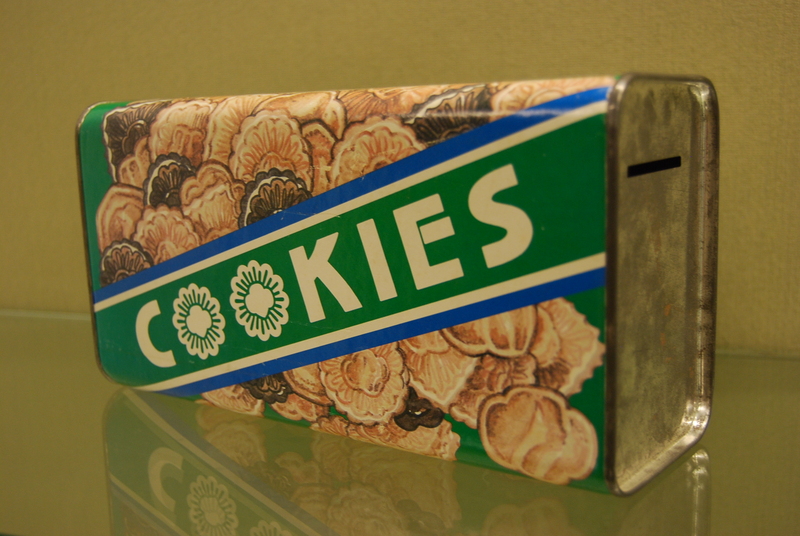 The Archives also has a tin from Byrd’s Cookie Company in Savannah, Georgia, depicting the Juliette Gordon Low Birthplace. We would love to hear from you about which tins you have in your collection! World Thinking Day not only gives girls a chance to celebrate international friendships, but is also a reminder that Girl Scouts of the USA is part of a global community—one of nearly 150 countries with Girl Guides and Girl Scouts. WAGGGS selected five countries of focus for World Thinking Day 2011 to represent the five WAGGGS regions: Bolivia (Western Hemisphere), Cyprus (Europe), Democratic Republic of Congo (Africa), Nepal (Asia/Pacific), Yemen (Arab Region). In the Girl Scouts of Greater Atlanta, troops celebrate this holiday in a variety of ways. 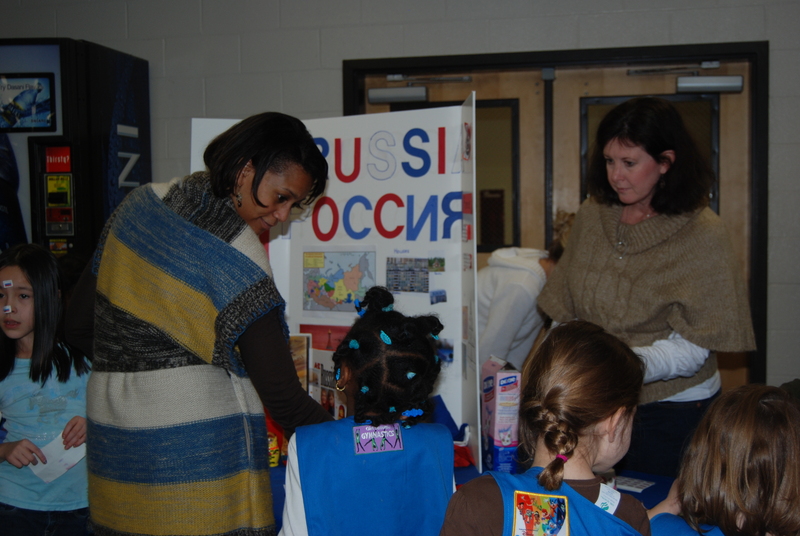 The Duluth Service Unit holds an annual “International Bazaar,” where each troop represents a country. The girls research the country, and they make snacks or small items for the shoppers to buy. Each participant also has a “passport,” which is stamped at each “country.” The evening begins with a Parade of Nations, celebrating all the countries represented. Two girls from each country hold their flag for all to see. The International Bazaar typically lasts two hours, and everyone has a great time. Even troops who elect not to represent a country are welcome as visitors to shop, have fun, and help a great cause. The money that is raised through this event is donated to the Juliette Gordon Low Friendship Fund, which supports girls’ international travel and participation in training and other international events. These unique opportunities for fostering international friendships connect Girl Guides and Girl Scouts from 144 nations. 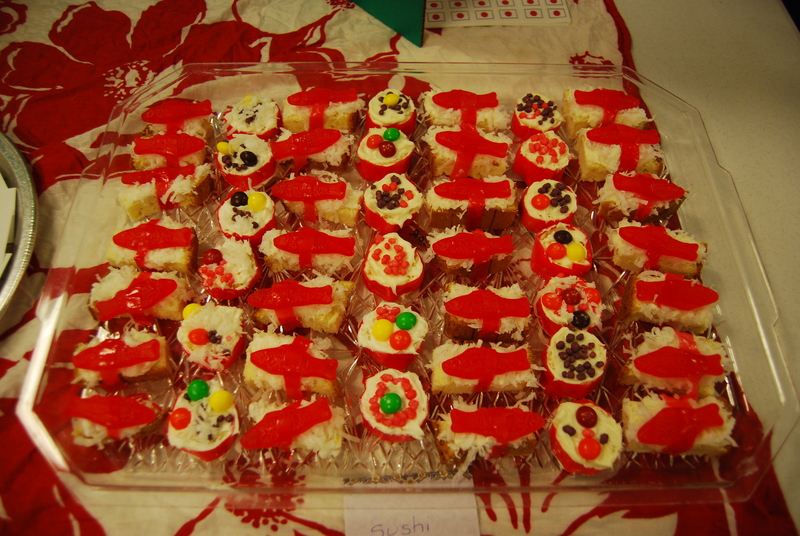 This year’s DSU International Bazaar will take place this Friday, February 25, and is sure to be a big success.